Embark upon the magnificent journey of with the astounding navy blue straight jacket from Ranas. Featuring beautiful amalgamation of gota, dori, zardozi and stone work, this set will rendered your look an alluring appeal. 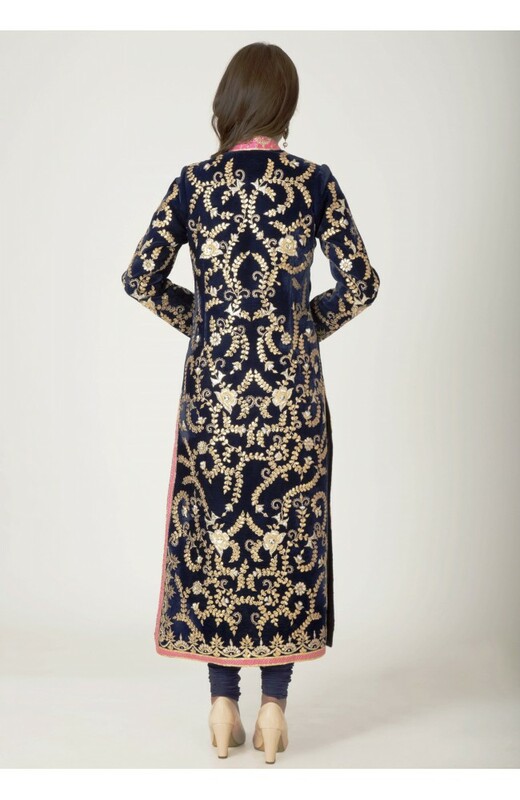 Made from velvet fabric, this jacket is quite comfortable to wear in any upcoming wedding gala.